Whoa there. #7? It feels like I’m going through these at a faster rate, the more I go through them! 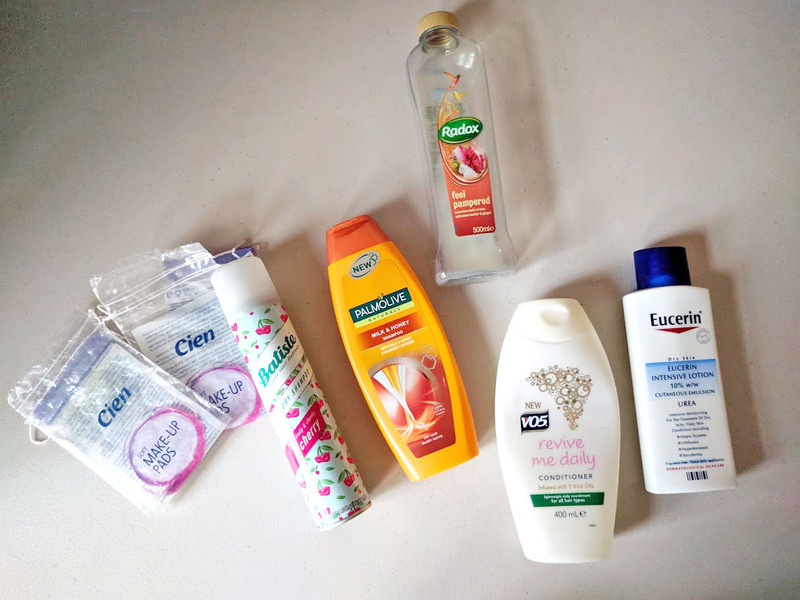 This month has just been empties after empties. It’s interesting because I have this thing where I wait for all of my to-be-empties to actually be empties before I go and make a post about it. I can’t just go and talk about 10 and leave 3 hanging! I did say that this was a clean-up after all, didn’t I? [See my review here] This lasted considerably well for me! You only need a pea-size amount although sometimes I get over-excited and squeeze out more than is necessary. I don’t typically use clay cleansers but I would go back to this. I feel that it really cleanses my skin from underneath and not just the surface. This is my 3rd one that I’ve used up I think? It’s a cult classic staple for me and one that I’d recommend to everyone. It takes everything off and better yet – you get to massage your face whilst doing so! I won’t be repurchasing soon because I want to try other balms but I will be coming back to it for sure. This is just okay for me – I definitely don’t love this more than the balm version as it doesn’t successfully remove my mascara. But I will say that this is the more convenient one to use in the shower. The SA said she prefers this to the balm whereas I’m the opposite so it’s all about preferences really. For what it’s worth, it’s economically friendly considering the pump, whereas I get a bit heavy-handed with the balm sometimes! I wanted to love this more than I do; as much as everyone else. But it just didn’t do anything for me, sadly! I used this during the course of two breakouts in the summer, and whilst it didn’t make my skin worse, it didn’t make it better either. Sorry but I don’t understand the hype! This feels very similar to the hyaluronic acid and niacinamide serums that The Ordinary has to offer actually. I would say that this is a good medium if you want hydration but also want some brightening effects to help with hyper-pigmentation. As per usual, this absorbs easily like the other The Ordinary serums. 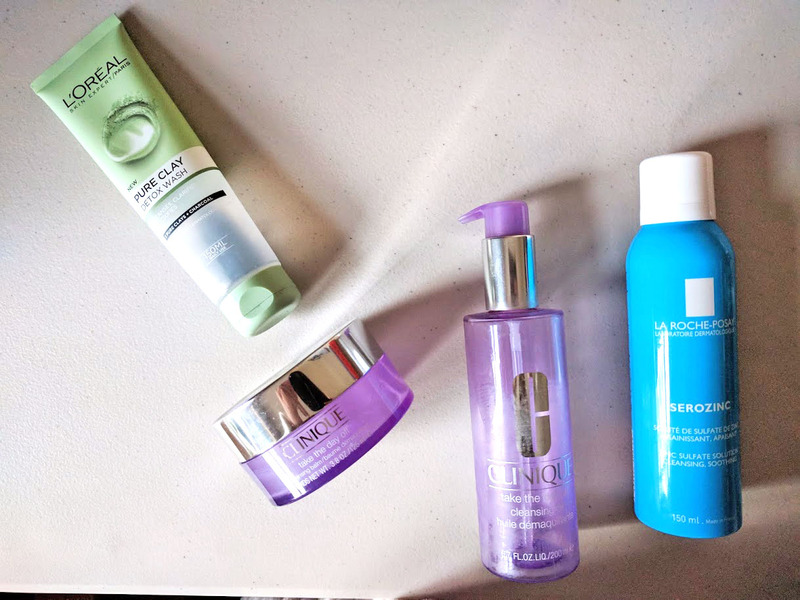 I particularly like using this along with the Retinol every other day or two – it does the most amazing thing to your skin! At the time, this was the most expensive from The Ordinary’s line. I’m not sure if this is still the case since they’ve expanded their product portfolio. It was hydrating but nothing that I’d prefer to use over the hyaluronic acid or niacinamide. I think this is mostly down to it not being a product for me since it is meant to be anti-aging; so it’s a bit of a miss from me. These were gifted by my brother. They are more on the expensive side of sheet masks but wow, you can really notice the difference in quality! 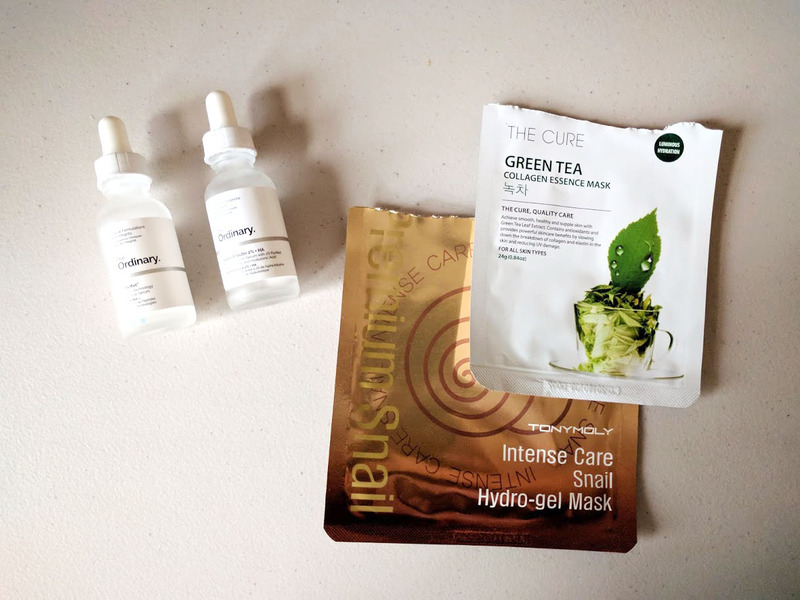 The sheet mask is divided into two face sections (upper and lower) and is made up of a hydro-gel texture that just sticks to your face without any crimpling; and once it’s on, it’s on. I always feel luxurious when I use these. 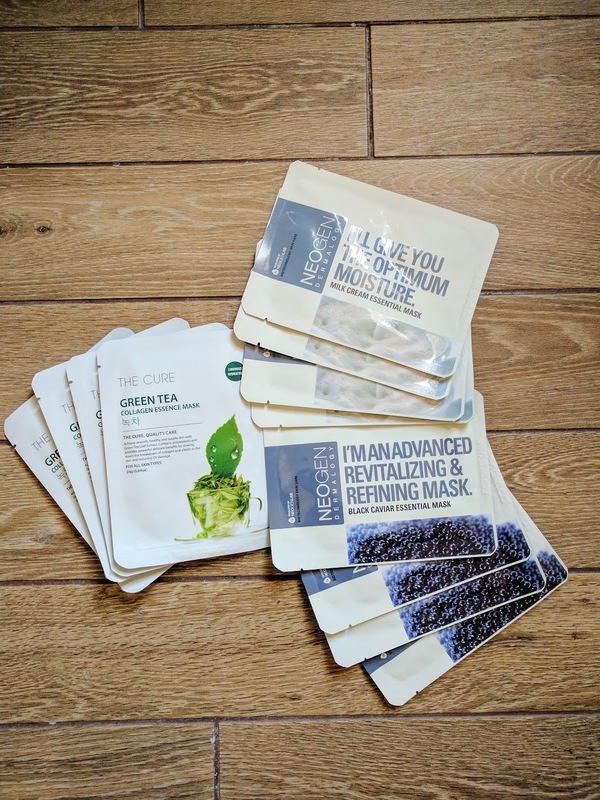 They are just the right consistency for a mask – not drippy but you do get the full hydration treatment. Afterwards, my face just feels amazing and revived. Dehydration? What dehydration? This is one of the best sheet masks I have ever used. I would buy these again in a heartbeat but unfortunately, they’re not readily available to me; especially since I bought these in TK Maxx! 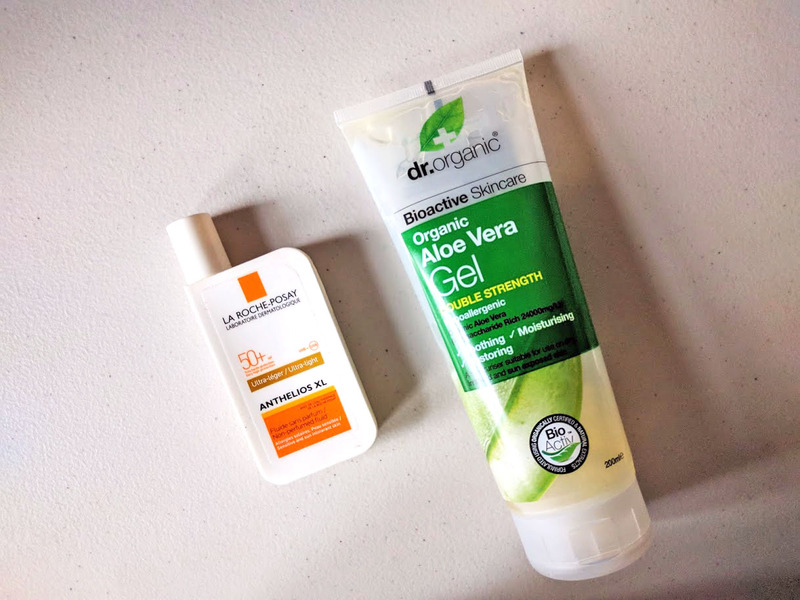 It’s really soothing on the skin, drenched enough but not too much and the perfect pick-me-up on a long day where your skin needs something a little extra. I liked this mask but I think it would do even better for those with drier skin. In that sense, it’s not my ultimate favourite, but for what it’s worth, I did enjoy using it. It’s drenched just enough in a milky serum and smells milky too, which I find really relaxing and different for once. This helped hydrate my skin and brighten it but I do wish I had saved it to use in the winter instead. A very unusual mask! Whether in its look (it’s a black carbon mask), smell or star ingredient, it is just unusual. The smell is a bit weird and unfamiliar (I still can’t pinpoint it) but it isn’t funky-smelling. A lot of sheet masks help with hydration, but this is a special one; and one I’d recommend to those with oily/problem skin. It’s what I’d call a ‘skin food mask’ as it feeds so many nutrients to the skin whilst pulling away the bad stuff from it since it’s a carbon mask. For me, this helped especially during breakouts so if you get a chance, give it a go! Another La Roche-Posay product that has been talked about a lot. I’m on-the-fence with this one. I do like the consistency and how easy it is to rub into the skin. It’s thin and lightweight which I guess is what you expect from a fluid. But it hates a lot of my skincare (particularly The Ordinary) as it piles every time. Every single time. Into white bits that sometimes get in my jet black hair. I’ve found that warming the product up first in between my fingers helps a bit, but if I’m honest, I forget to use this tip sometimes and then I’m back to square one – starting over. Oh I don’t know! Technically I still have a little left in the tube, but I’m so close to finishing it that I might as well add it here! I’ve talked about this many-a-time, in favourites and in empties too (I think) so it’s a staple for sure. Lately I’ve been swapping my moisturiser out for this on some evenings which I find really helps if you’re quite spot-prone. It’s a great antiseptic, plus it doubles over as a sleeping mask. No surprise here. Go-to cotton pads that I use daily for my bioderma and my countless toners. I use a lot of these so the fact that these are cheap and cheerful is great on my pocket. As cheap and cheerful as bath creams get! You can get these for £1 in Home Bargains and are available for around the same price in most supermarkets (basically, just go to Home Bargains). I have to say – I’m not a bath person so I don’t use these in the bath. I’m not really someone who spends a whole lot on luxurious bath products either. This product has reaffirmed why: it’s skin-softening, smells nice without overdoing it and lathers up well. This is the second one I’ve used up. I used this primarily to treat my dry skin patches and any skin problem areas. The formula is really unique. It’s neither a cream nor a gel. I guess it’s a milky lotion but that’s not an exact description either, since when you rub it in, it becomes a colourless seal that stops moisture from going out. This is a little pricey but it lasts for ages, and really calms my skin when nothing else is working. I have used this to death! There is probably a few more applications, but I just had to call it quits and tell myself that I’ve done the product justice. (You can probably tell it’s old because almost all the writing has rubbed off.) I have to say – I’m not really a concealer advocate but I really love this. It doesn’t necessarily conceal so this won’t be for everyone, but I love it for brightening up my face! It doesn’t crease and actually sits nicely on my skin too. I’ve had this mascara for longer than I should’ve and it’s dried up now, so it’s as empty-worthy as a mascara can get. It’s one of my favourite mascaras ever. I don’t ask for much when it comes to mascaras, but a lot of them either don’t hold my curl, or they flake and transfer. 🐼 This doesn’t budge! The only thing I ask in mascaras is to make me look like I have lashes (seriously!) and this does it all for me: length, curl, definition. Ah Bobbi Brown! Possibly one of my favourite brands alongside Clinique. This powder is very finely milled and comes with a puff that’s of really nice quality. It’s lasted me a whole year where I’ve been using it on/off, and each time it’s served me well when it has come to touch-ups. One touch-up and I’m done for the rest of the day! Total of 21 products have been cleaned up! 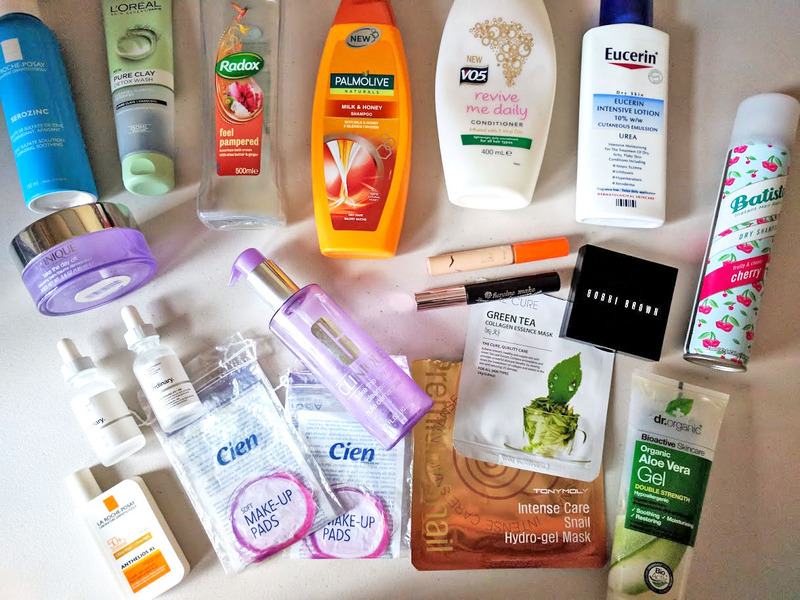 I imagine that I will have one more empties instalment before the year ends including a clean-out of products I don’t use at all. I actually can’t wait to reset my whole collection (skincare and makeup). Very nice review! I would love for you to check my blog! I was thinking of trying the Clinique Take the day off cleansing oil since I love the balm so much. Hmm maybe I won’t now. I’ll be on the look out for the Tonymoly Intense Care Snail Hydro-gel Mask! The Eucerin lotion sounds interesting – it’s not greasy? The Rimmel Wake Me Up Concealer is on my list of drugstore concealers to try. I wasn’t sure which shade to pick – I’ll check out #03 based on your skin tone being similar to mine. The Heroine Make mascaras are SERIOUS business! Too stubborn for me though. 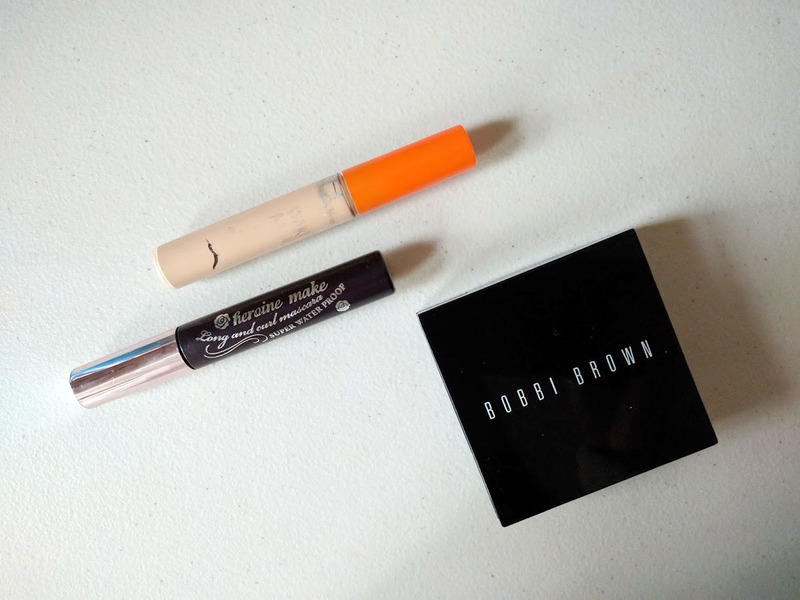 Bobbi Brown is a brand that I’d like to explore more – people don’t talk about it much! What else do you like from the brand? Yes, I've noticed that not many people talk about Bobbi Brown too! It's not a brand that's hyped about at all; and I wonder if it's because of the ethos that BB follows (natural makeup) which makes it hard for it to be hyped about? At the moment, I am really enjoying the SPF 50 face base and their recent new launch Crushed Lip Colour (I got the shade 'telluride'). Haha yes, the Heroine Make mascaras do take some effort to get off but I'm willing to overlook that because it's so hard for me to find a mascara that just works. Nope – the Eucerin lotion isn't greasy. It's not like a traditional lotion – it's milkier than that and spreads into a very thin seal over the skin. Previous PostSeptember Monthly Favourites ft. Superdrug, Essie + LUSH!